His face has appeared on T-shirts, postage stamps, jigsaw puzzles, posters, and an Andy Warhol print. A celebrity and a tourist attraction who attended three World’s Fairs and rode in President Theodore Roosevelt’s inaugural parade, he is a character in such classic westerns as Stagecoach and Broken Arrow. His name was used in the daring military operation that killed Osama bin Laden in 2011, and rumors about the location of his skull at a Yale University club have circulated for a century. These are just a few of the ways that the Apache shaman and war leader known to Anglo-Americans as Geronimo has remained alive in the mainstream American imagination and beyond. 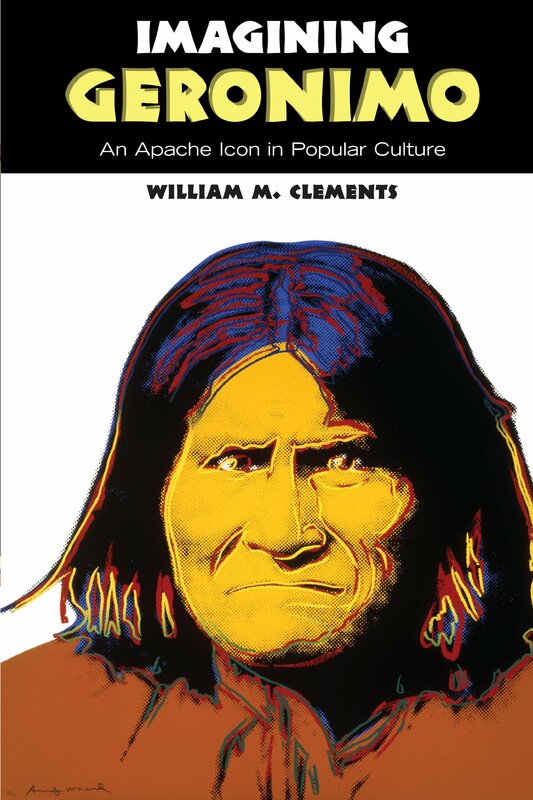 Clements’s study samples the repertoire of Geronimo stories and examines Americans’ changing sense of Geronimo in terms of traditional patterns—trickster social bandit, patriot chief, sage elder, and culture hero. He looks at the ways in which Geronimo tried with mixed results to maintain control of his own image during more than twenty years in which he was a prisoner of war. Also examined are Geronimo’s ostensible conversion to Christianity and his image in photography and literature. William M. Clements taught cultural anthropology, folklore studies, literature, and American Indian studies at Arkansas State University. A Fellow of the American Folklore Society, he has published several books, articles, book chapters, and reviews in folklore, popular culture, history, literature, and American Indian studies.